Fall and winter are excellent seasons for traveling and exploring beautiful climates in your RV. If you traveled extensively over the summer, or if you’ve owned your RV for any length of time, you’re well aware of your traveling style, as well as your current RV’s ability to be a good fit for those needs. You’ve made memories and seen a variety of landscapes, so determining if it’s time to trade in your RV for an upgrade can be an overwhelming task. Thankfully, we’re here to help. Find out what your RV is worth in 60 seconds! Trading in your RV might need to happen for a variety of reasons. If you’re regularly traveling with friends and family, you might need more space than you used to. Maybe you’ve faithfully maintained your RV for many years and you’re simply looking for a model with lower mileage, or interested in updated features and amenities. Of course you might decide to park your RV with a “For Sale” sign in the window, but that keeps you from planning any road trips in the immediate future. You can even upload photos if you choose, and specify any model in our inventory which may be of interest to you. 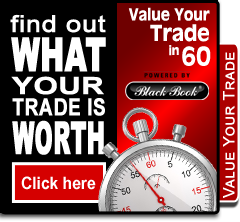 You can expect to hear back from us quickly regarding your trade value and options. It couldn’t be easier! We don’t want you to miss out on any traveling opportunities, and selling privately can frequently bog down your timeline. We’re a trusted dealership and we want to give you the best value for your trade in. Contact us today if you’re ready to trade your RV without missing a beat in your travel plans!